Kyle is a typical kid, who loves typical kid things. There is one thing that sets Kyle apart from the rest of the kids. 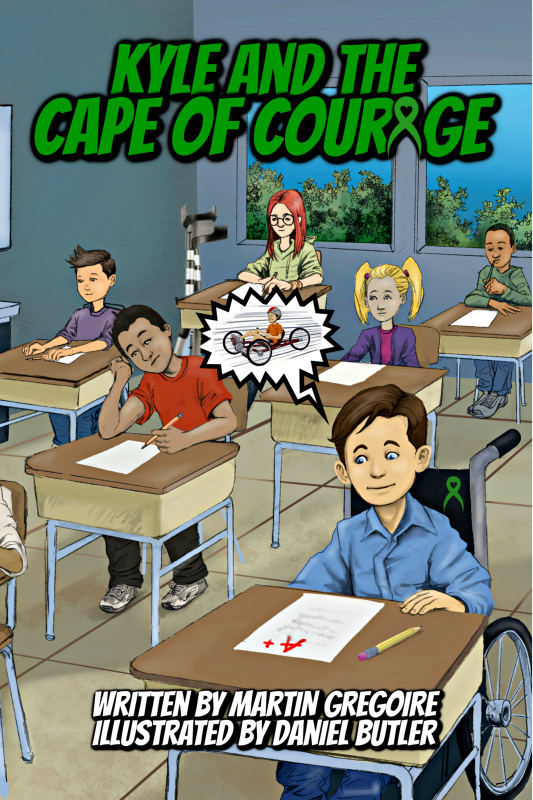 Kyle has Cerebral Palsy and dreams of one day doing things like riding a bicycle. One day a surprise arrives in the mail that inspires Kyle to be a whole new Kyle. This version is happier, stronger, and chases his fear like they were candy on Halloween. Not only does he chase his fears, but he also faces them, and that is one thing that Kyle will never again take lightly. Join Kyle as he takes a whole new ride on this new adventure!